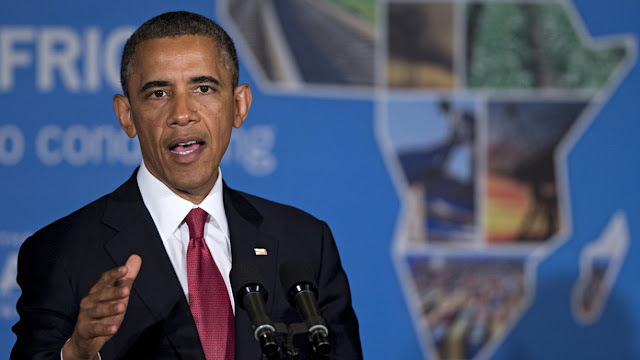 President Obama is due to visit Kenya and Ethiopia later in July 2015. While the media all over goes crazy celebrating this visit, it is certain that it raises more questions than answers. Fundamentally the question remains, will Obama’s visit change the peripheral place of Africa in the US foreign policy? My conclusion is No, it will not. Obama’s foreign policy has been characterized by a focus on Asia not Africa as an engine for global economic growth. He has placed a major focus on the long term US foreign policy concerns in checking the rise of China economically and militarily and Russia as it impacts NATO (western Europe) and the former Soviet republics. Little emphasis has been placed on Africa. Secondly, analyzing the timing of his visit is indicative. He has chosen to visit Kenya and Ethiopia as a lame duck president. He cannot do much in this stage of his presidency. When he came to power in 2008, his party (the Democrats) controlled both the House of Representatives and the Senate. Today, his party controls neither. This means he has no power in driving the legislative agenda in Congress. In addition to this, the national political cycle has shifted to the front runners in the next election cycle in 2016. He will not initiate major shifts in foreign policy because this will alienate his party members (who unlike him, are running for office in the next political cycle in 2016). That being as it is, Kenyans and Ethiopians need to remember that President Obama is visiting their countries to advance US and not Kenyan or Ethiopian interests. His job as president is to do what is best for the United States. In saying this, rather than Kenyan and Ethiopian leaders celebrating a potential photo opportunity with the US president, maybe they should be thinking seriously about what their foreign policy interests vis-à-vis America are. Specifically assessing this visit will best serve those interests. So, sorry to spoil the party! If Obama’s visit does not fundamentally change the peripheral place of Africa within America’s foreign policy framework, it will be more of a hullabaloo about nothing.